New AIRDROP: POOR Tokens Announced – Let’s make EOS Better! Team GenerEOS believes in making EOS accessible for the entire community. A big part of getting the community involved is tokenization. Whether used to raise funds or provide a utility for Dapps the key seems to be getting tokens into people’s hands. 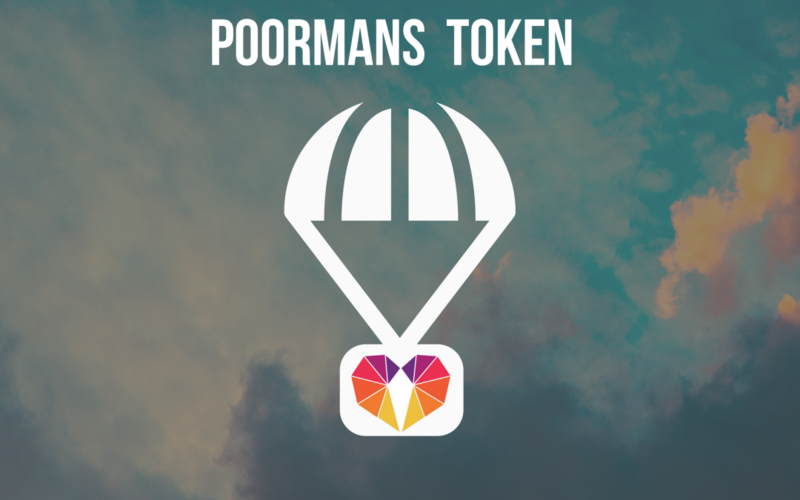 The intent of the poorman token is to allow the community to Airgrab their tokens. More specifically, the community can opt-in or sign-up for the token using their own RAM (approximately 128 bytes), which enables the token provider to significantly reduce their airdrop costs (several megabytes). The poorman token also comes with burning functionality to reduce circulating supply. Let’s test it the EOS Airgab! Airgrabbing your tokens means you’ll receive the first POOR airdrop at 1:1 to your total EOS based on a snapshot taken on July 11th. POOR tokens will be used to test a variety of opt-in and snapshot testing. It’s entirely up to the EOS community how they want to use these tokens in the future! Please airgrab as soon as possible and do your part to test the future of EOS airdrops! I just have no idea what the airdrop is about. I have 1051EOS token, do I put in 1051 token and does that means I sold 1051EOS to gain poorman token or I get 1051 Poorman token and still keep my 1051EOS please.